3 Bedroom Apartment To Rent in Slough for £2,995 per Calendar Month. 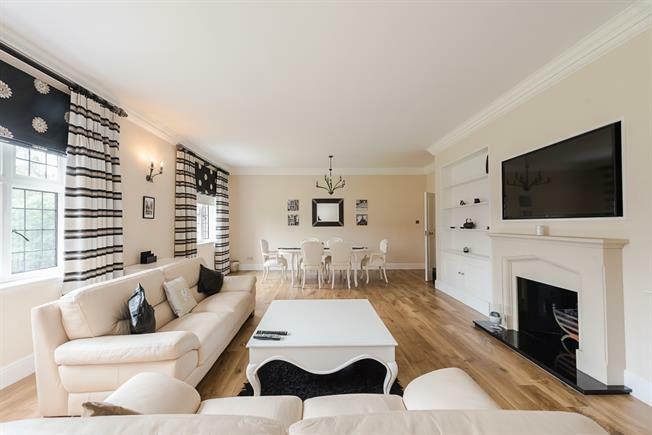 PREMIUM - An incredible three double bedroom gated luxury apartment which is set in three acres of this converted mansion, offering stunning accommodation coupled with superb facilities and the ultimate in wow factor!! The property comprises entrance hallway, beautiful living room / dining room overlooking the gardens open fireplace, underfloor heating throughout, fully fitted kitchen with dining and seating area, master bedroom overlooking the gardens with en-suite shower room, guest bedroom with en-suite shower room, third double bedroom, family bathroom, study. Outside the property is approached via security gates leading to a garage and parking and is set in three acres of incredible grounds, including indoor and outdoor heated swimming pool tennis court, croquet lawn and extensive lawns.